The Daylite LED Headlamp provides an ultra-bright, even, white light with no black spots. 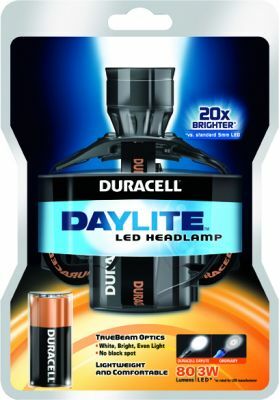 With spot-to-flood focusing and a pivotal head for convenience, use the Daylite Headlamp outdoors or when doing household jobs that require two hands—and some extra light. 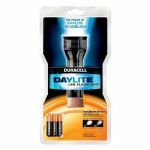 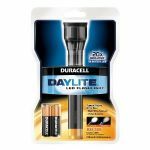 All Duracell Daylite flashlights use patented TrueBeam Optics,™ which combines LED technology with precision-focus lensing to give you light that’s 20x brighter than standard 5mm LED flashlights. 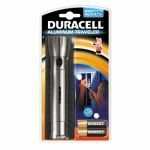 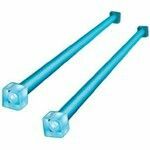 They have 5x more battery life than incandescent flashlights, and all Daylites are constructed out of aircraft-grade aluminum, so they aren’t big and heavy, just brighter.